South Dakota snakes register at the sixteen species mark, however snake diversity in the state is a bit smaller due to the fact that a handful of the species have very limited ranges. 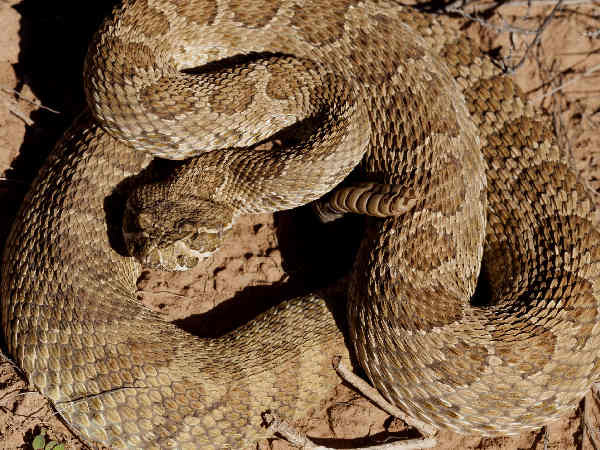 That statement does not stand for the state’s only venomous snake, the Prairie Rattlesnake (Crotalus mitchellii). It’s range extends through much of the western parts of South Dakota at all elevations with grasses or prairie habitat. They can grow up to four feet in length and have a blotched body pattern. The presence of a rattle is the best field identification clue because they share territory with the Gopher Snake. 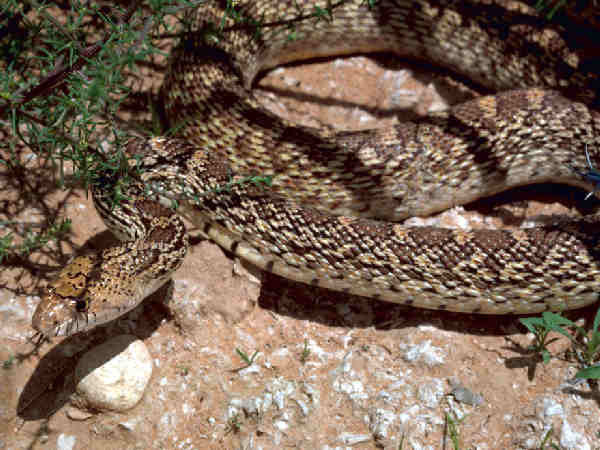 Gopher Snakes or Bullsnakes (Pituophis melanoleucus) are fairly common South Dakota snakes, with records of their existence in much of the west. 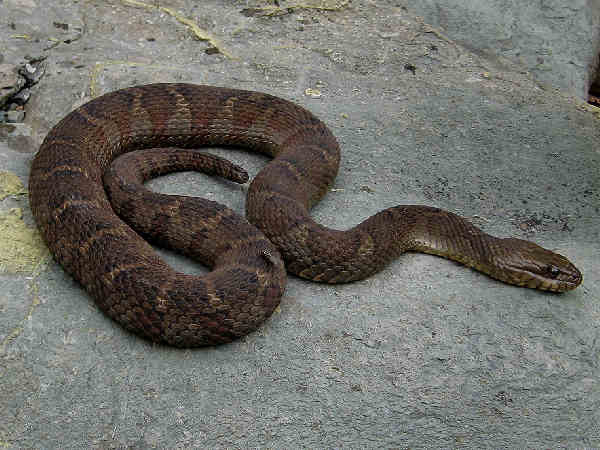 The remainder of this page provides a quick overview of the nonvenomous South Dakota snakes. Please press the green snakes button for additional snake pictures and information. The first two snake species presented here exemplify the limited range of some South Dakota snake species. While the Northern Watersnake (Nerodia sipedon) adds to snake diversity in South Dakota, it’s also the species with the smallest range in the state with records in only one southern border county. Eastern Hognose snakes (Heterodon platirhinos) are listed as threatened in the state and have a range limited to two southern counties. They can assume a variety of colors. Milksnakes add a touch of color to the South Dakota landscape. They inhabit many areas in the south, trace a line west of the Missouri River and that’s pretty much their territory. 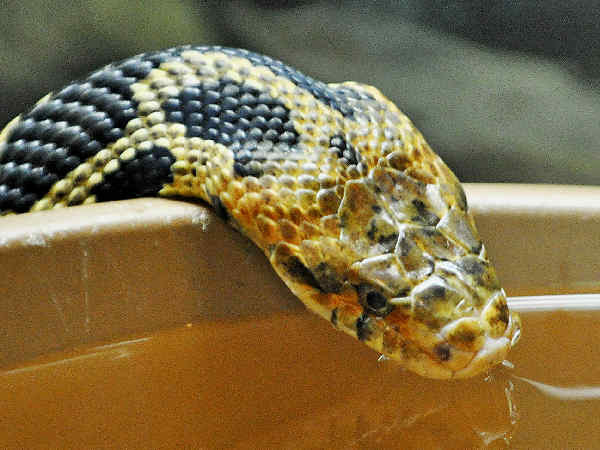 In most states the rat snakes receive the title of largest snake. South Dakota’s only resident species, the Western Foxsnake (Pantherophis ramspotti) can grow to four feet in length, small in comparison to the seven foot rat snakes common in he genera. 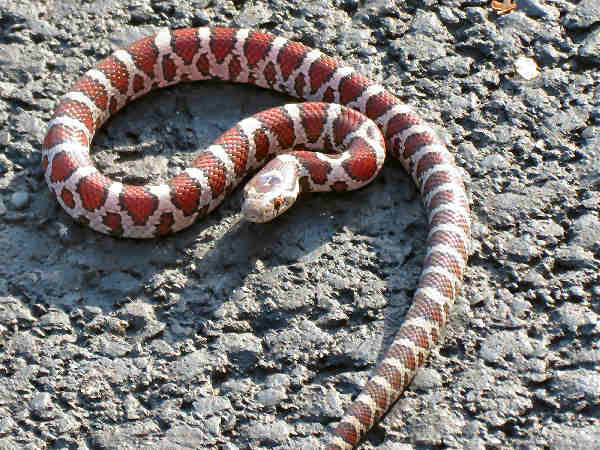 There is only a very small population of the Western Fox snake in the southeast corner of the state. Garter snakes are the most common of the South Dakota snakes. Three different species reside in neighborhoods and less settled areas of the state. 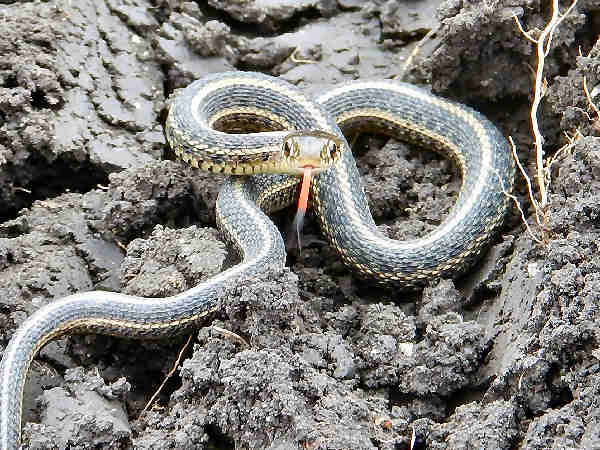 The Plains Gartersnake is the most common, found in every county. 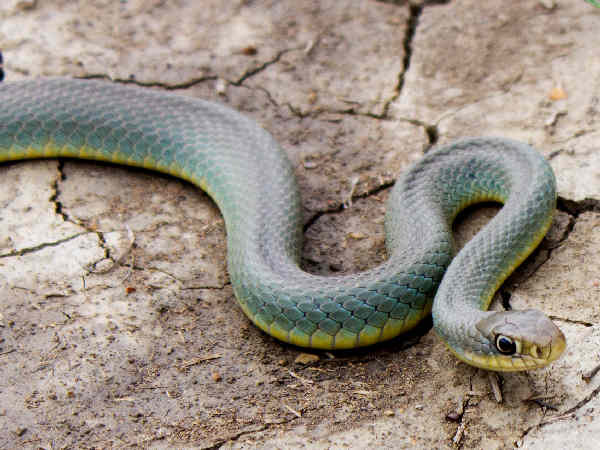 Western Terrestrial Garter Snakes (Thamnophis elegans) inhabit western areas of the state. 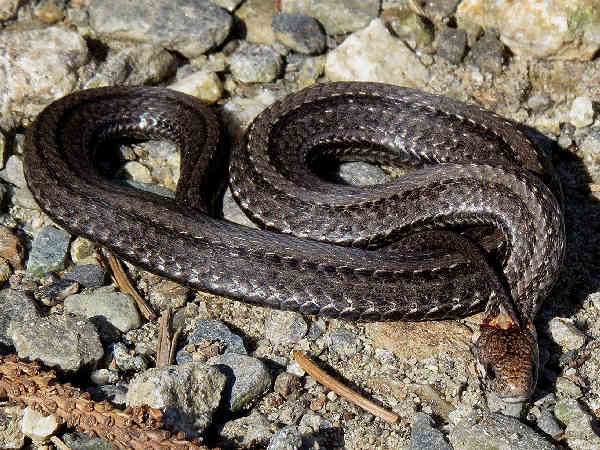 The Common Garter Snake is primarily an eastern species. 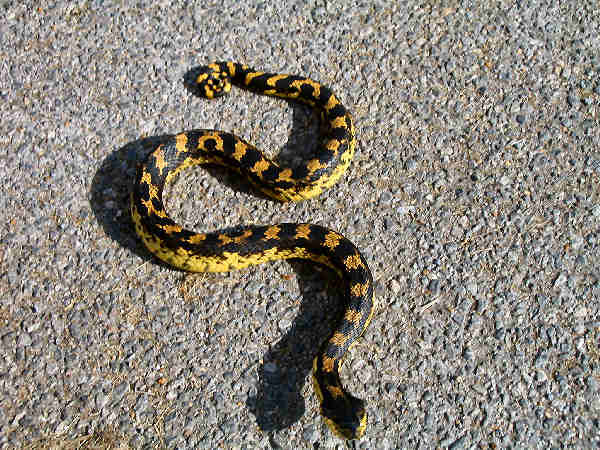 With the exception of the Lined Snake, the stripes down the body are the best field identification clue for these snakes. Black Racer (Coluber constrictor) is the general name for one of the most widespread of all the snakes native to the United States. Color is a common name applied to many of the eleven subspecies, including the Yellow-bellied Racer in South Dakota. 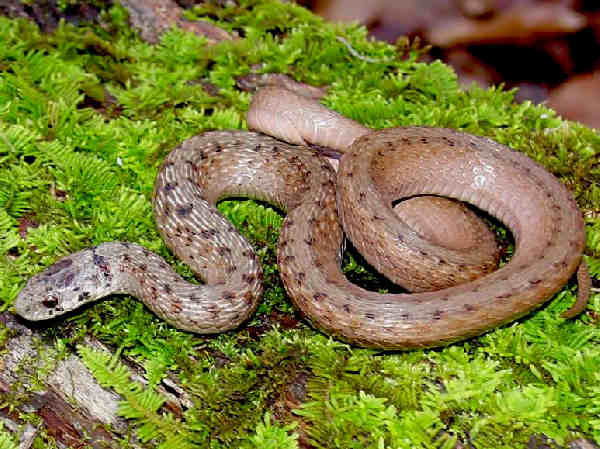 Both the Dekay’s Brownsnake and Red-bellied Snake are small, hardy snakes capable of surviving the South Dakota winters. Please press the snakes button at the top of the page to learn more about the following four South Dakota snake species.